Sam T’s is proud to service Property Management Companies in Orlando! Property managers are often swamped with calls from tenants or homeowners at all hours of the day and night: Clogged drains, broken water heaters, leaky pipes or flooded basements. Let’s face it – the plumbing systems in your buildings are under a lot of stress. We can help! One call to Sam Ts Plumbing will take care of any plumbing or drain cleaning emergency or routine service for all types of apartment buildings, condominium complex or home owners’ associations. We can also help with budget-friendly maintenance programs designed to meet your every need for one location or multiple locations. Sam Ts Plumbing experts utilize state-of-the-art equipment, possess the know-how to fix your problem right the first time and drive stocked vehicles so your property is back to normal as quickly as possible. 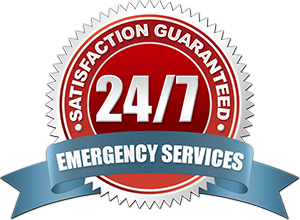 You can rely on Sam Ts Plumbing for 24-hour plumbing services every day of the year. Professional help is just a call away. ← Plumbers Near Me in Oviedo Fl.